Last week college basketball received another hit. This time it was not a cheating scandal; not a recruiting scandal; not a pay-off-to-players scandal. No. This time it hit more at the core of the game – the real integrity of the game. It involved basketball game officials. The story surfaced that Ed Rush, the Head of Officials for the Pac-12 Conference, had said that if any of the officials wanted to get ahead or be retained as PAC-12 officials they should target the Arizona men’s basketball coach, Sean Miller. If they were to “ring him up” (give him a technical foul) or “run him” (eject him from the game) they would receive $5,000 or a free trip to the Mexican resort of Cancún. Pac-12 Conference Commissioner Larry Scott immediately came out in support of Rush, who is widely known in the community of game officials as a bully. Scott had offered his support even before on-site officials confirmed the directive from Rush. 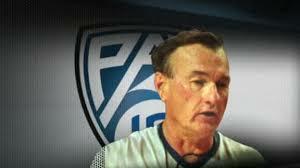 Sure enough, in the Arizona-UCLA semifinal basketball game for the Pac-12 Championship Miller was hit with a technical foul for saying to the official, “He hit the ball,” which he repeated five times without using foul language. It was late in the game and UCLA went on to win the game 66-64. Miller went on a rant at the post-game press conference and was fined $25,000 for it. The issue has not been resolved or adequately addressed at the time of this printing. There have been many calls for Rush’s firing but to date no significant actions has been announced. We all cringe at the mention of NCAA investigations of institutions which violate rules and regulations, and we are appalled at the behaviors of some coaches in their treatments of their players. Those infractions and abhorrent behaviors bring us pause – but a scandal involving game officials stuns us, just as we are stunned when we hear that there are dirty police. And this is the real issue with the Ed Rush case – because we rely on the integrity of officials to equitably and honestly regulate the game and enforce its rules. Officials are the line of defense between chaos and competition. When they fall down on their obligations to be honest, we are often left speechless. In any circumstance, when we discover that those with whom we have entrusted the honor of the institution are not honest, we become disoriented in a sense. We cannot comprehend it, but once it gets through, either by crashing in or by seeping piece by piece into our consciousness, we become hardened, cynical and nothing game officials can do, from that moment on can mitigate that belief. Unscrupulous game officials are the cancer of sport. They completely dissolve our belief of the honesty of sport. They rob us of the belief in the purity of sport. And, if not checked or dismissed, they produce a charade where once there was sincere competition. Their manipulation of rules application means they can determine the outcome of the game. Basketball offers more opportunities for this to happen with all its action, contact incidental or not, hustle and movement the occasions for calling a foul are far greater than in any other sport. Fouls in football, by example, do not characteristically award points. Not so in basketball, where fouls can determine the outcome of the game. Point attempts can be awarded and players can be eliminated from the game. THAT is an inordinate amount of influence on the outcome of the game. And that is why basketball officials, above all other sports, must perform with integrity, without exception. The instance of Rush’s directive teaches us that officials are mere mortals with all the weaknesses and failings inherent in our DNA. But for that same reason, basketball officials must be held to a much higher standard of integrity and performance – for if we do not demand it of them, the integrity of the very game itself is compromised. Hence, officials like Ed Rush must be ceremoniously ushered from the game with swift execution and prompt order for the sake of the integrity of the game. Dr. Arthur Ogden is the United States Sports Academy’s chair of Sports Management. He has served in education for more than 45 years in several capacities, including Dean of Academic Affairs, college football coach and college athletics director. He has taught in the Kingdom of Bahrain, Botswana and in Jamaica. You can reach Dr. Ogden at aogden@ussa.edu or visit www.ussa.edu.